Happy Holidays and Thank You For a Great Year! What a year! 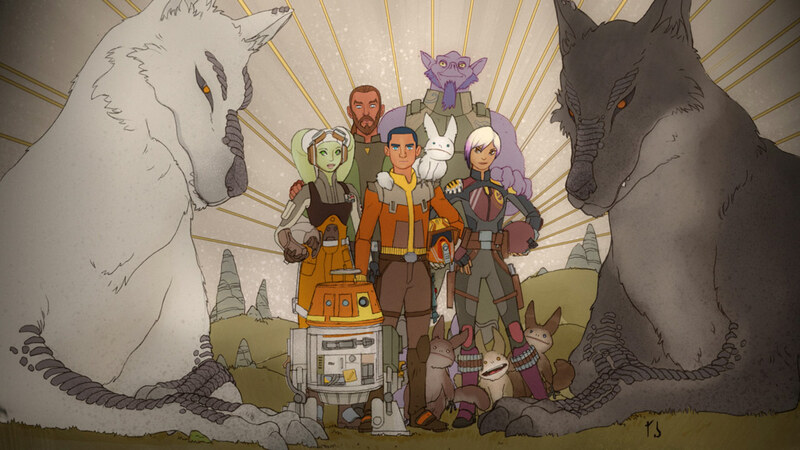 In 2018, we saw the end of the Ghost crew in Star Wars Rebels, and the explored the beginning of Han Solo with Solo: A Star Wars Story. 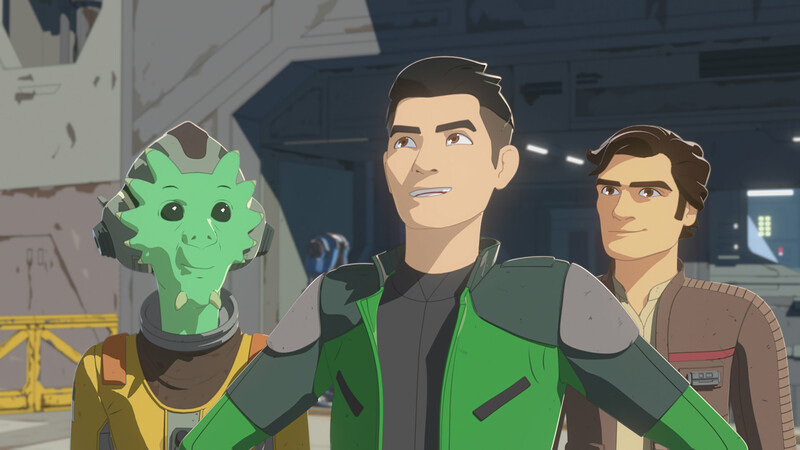 We welcomed new faces to join the cause in Star Wars Resistance, saved The Clone Wars, and helped younglings take their first steps into the larger world of Star Wars Galaxy of Adventures. 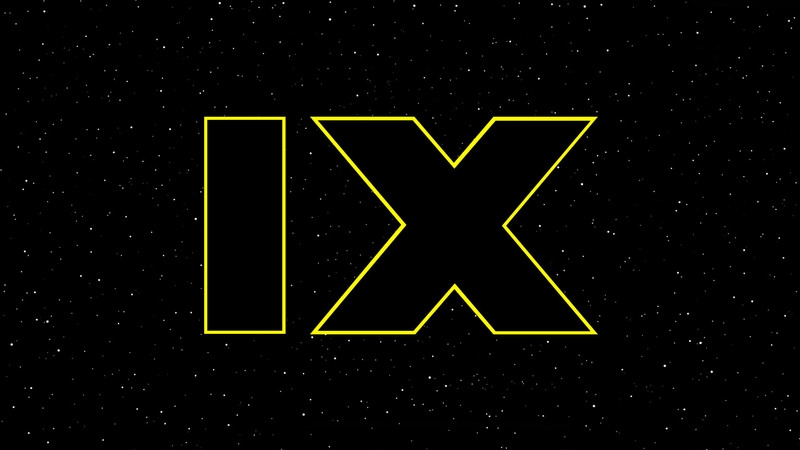 And 2019 is already shaping up to be even bigger, when Star Wars Celebration braves the windy city of Chicago for five straight days, we anticipate the end of the Skywalker saga with the release of Episode IX, and so much more! 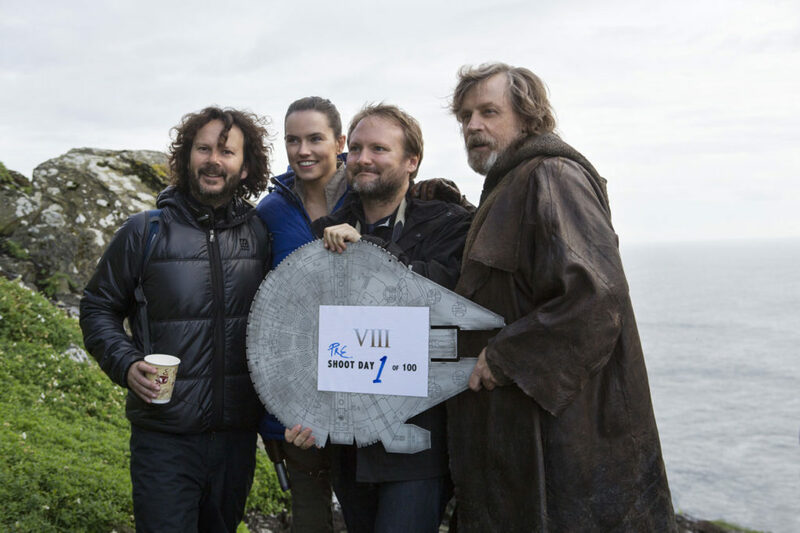 All of us at StarWars.com thank you for being here with us every step of the way, to share in the stories and characters we love, debate our own unique points of view, and celebrate a fan community that’s been going strong for over four decades. We’ll be taking next week off to relax in carbonite (or, you know, celebrate the holidays with friends and family) — although we can promise we will still be thinking and talking about Star Wars in our downtime. And we’ll be back soon, fully rested from our hibernation and ready for everything 2019 has to offer! 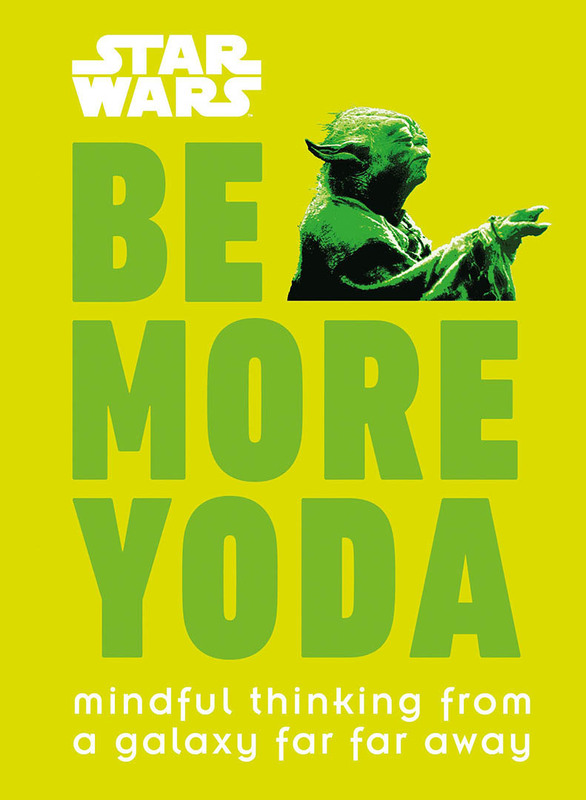 Have a wonderful holiday and may the Force be with you. This has been a year filled with major Star Wars releases and new stories to enjoy, but it will also be remembered for specific moments, events, and announcements — many of which have us more excited than ever about the future of a galaxy far, far away. While we can’t wait for what’s to come in 2019, here’s our favorite Star Wars everything from 2018. As a parent of younglings, it’s always been a privilege to see how Star Wars has been able to bridge the gap between generations. 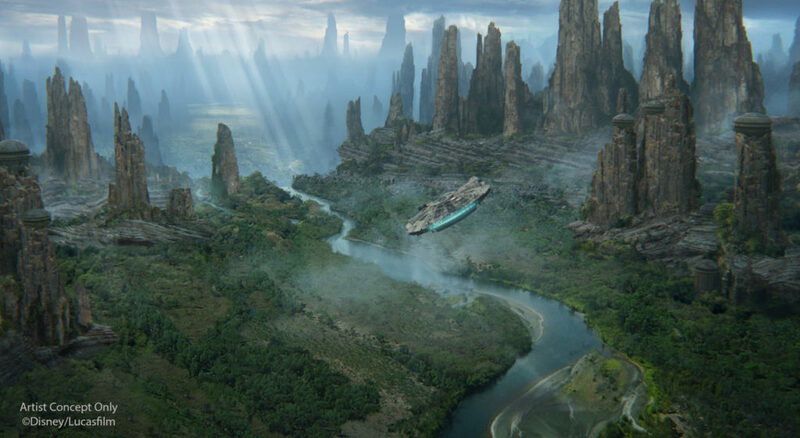 Whether it’s the original trilogy, the prequels, or Star Wars Resistance, there’s something in a galaxy far, far away for everyone of all ages. 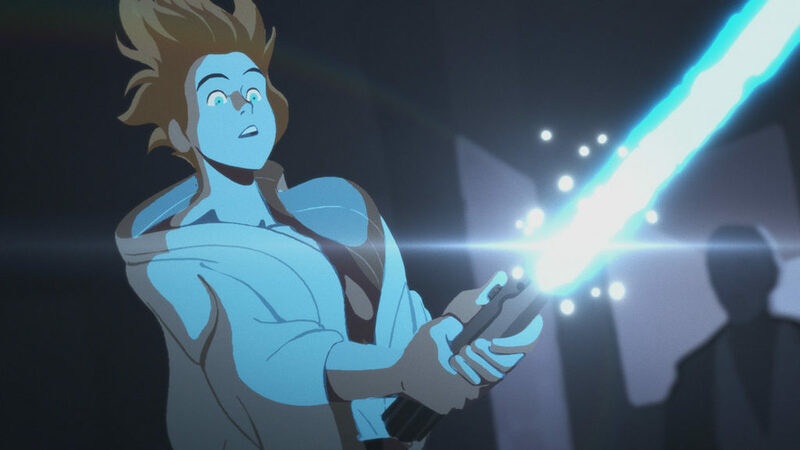 Star Wars Galaxy of Adventures, launched on the new StarWarsKids.com and the official Star Wars Kids YouTube channel, showcases a whole new way for families and Star Wars storytelling to come together. With exciting animation and bright colors, the shorts open the door for kids to get their first introduction to Luke, Leia, Han and Chewie, and Darth Vader; I have to say, using the original voice dialog has definitely pulled at my heartstrings. And at just around one-minute long, the short time frame allows young ones to get caught up in the stories and be curious about further exploring the Star Wars universe. This was a very exciting year for fans who play games, with a bevy of content updates hitting throughout the year. Live-ops support for both Battlefront II and Galaxy of Heroes has been phenomenal in recent months, with new content being added all the time. 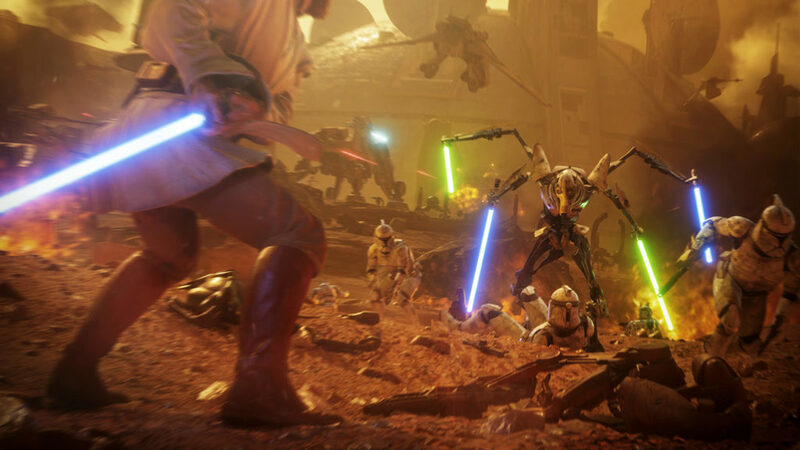 The release of Solo: A Star Wars Story brought the spice mines of Kessel, young Han and Lando skins, and a slew of incredible new modes to Battlefront II earlier this year, and we’ve since seen the addition of the massive Geonosis map, General Grievous, and Jedi Master Obi-Wan Kenobi. 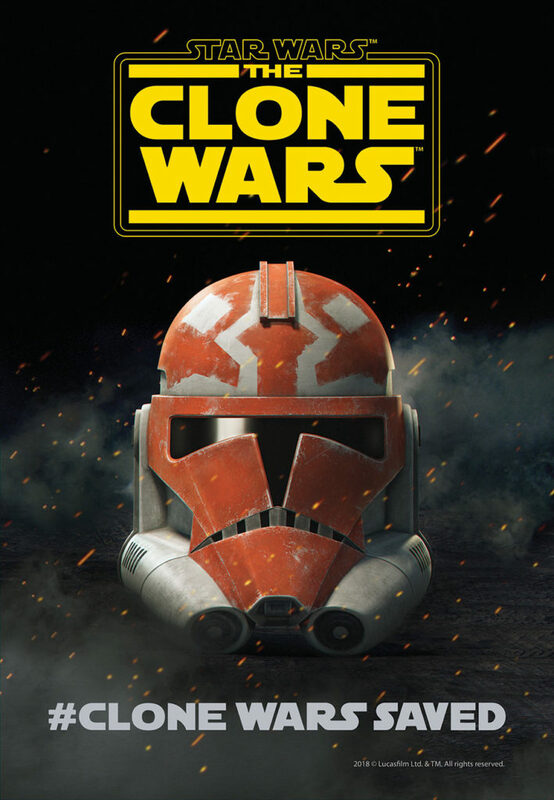 Plus, there’s still more great Clone Wars DLC on the way in January and beyond. Galaxy players on mobile devices, meanwhile, have been treated to a veritable smorgasbord of Legends nostalgia. Knights of the Old Republic’s Bastila Shan, Jolee Bindo, Juhani, and even the fan-favorite Revan have all joined the holotable as playable toons; if you haven’t taken Galaxy of Heroes for a spin yet, now’s the time. Star Wars: Jedi Challenges, the augmented-reality mobile game, also got a free major update this year. 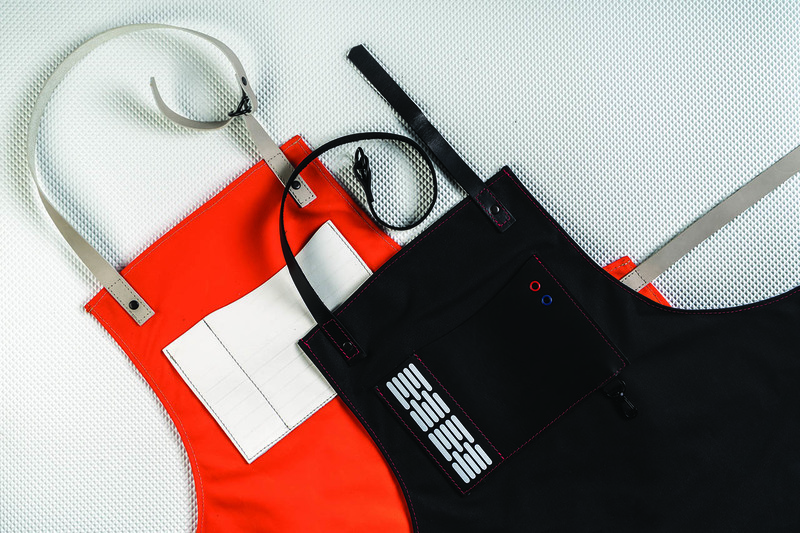 The Dark Side Expansion puts player in control of Kylo Ren’s crackling red lightsaber, pitting them against worthy opponents like Rey and Master Yoda. Star Wars saw a pair of incredible home video releases this year that offered us a whole new world of behind-the-scenes content. 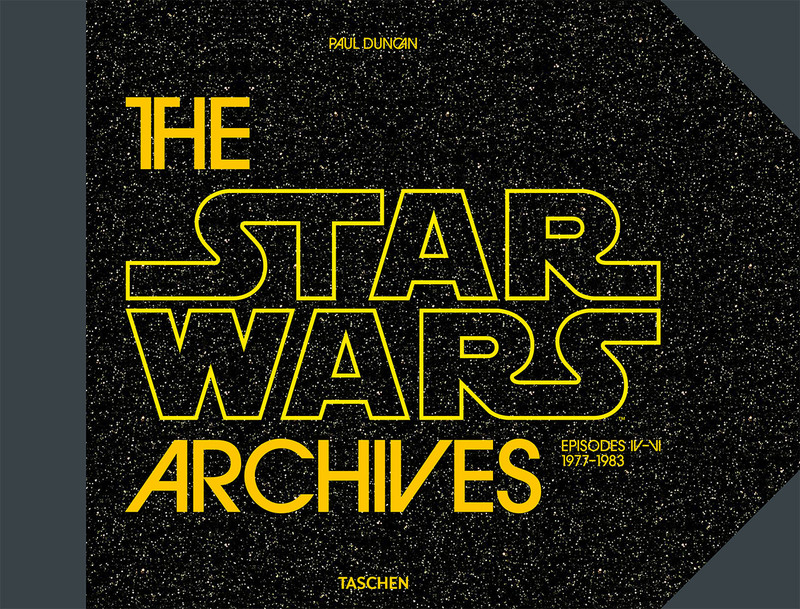 The release of The Last Jedi brought us a feature-length documentary about the making of the film, a full commentary from Rian Johnson, and a version of the movie that isolated the John Williams score and allows you to watch the film as a silent musical. The depth of the features The Last Jedi brought us helped us better understand the film and how it was made. I’m not sure we’ve had a better behind-the-scenes documentary since the release of The Beginning, which was the making of feature from The Phantom Menace. One of my favorite bonus features that hit the home video market in 2018 was the cast and crew roundtable that featured on the release of Solo: A Star Wars Story. Watching director Ron Howard lead a discussion about making the film with the cast was a joy, and made it seem as though making Solo was as fun of an experience as watching it. 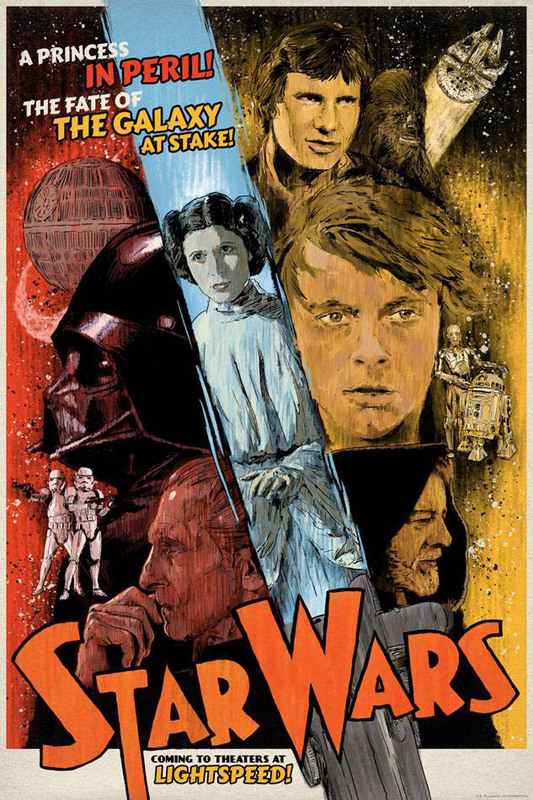 Also, it’s worth noting that StarWars.com even had exclusive Blu-ray covers made for the films that you could print out: for The Last Jedi, fans took stunning photos of action figures, and Phil Noto provided artwork for Solo that’s just beautiful, illustrated in the style of classic movie posters. Everyone has a Star Wars story. Maybe it’s an unforgettable experience seeing the first Star Wars movie with your kids, or a certain character or story moment that gets you through a tough time, but there’s something about Star Wars that stays with us. 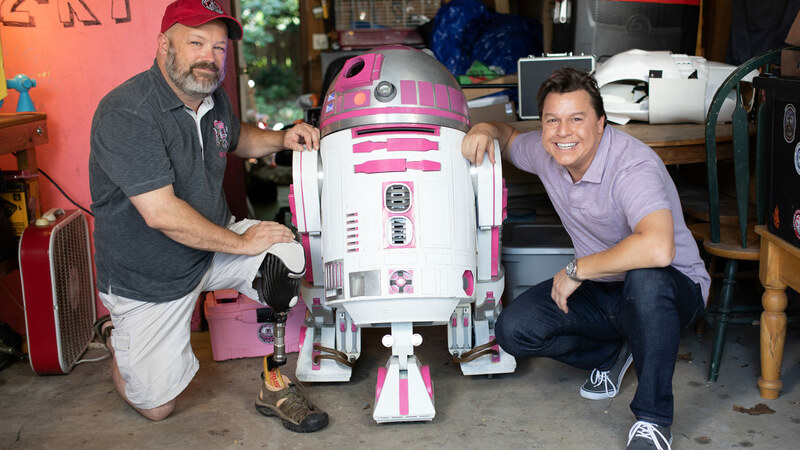 Our Star Wars Stories, a new digital series hosted by Jordan Hembrough that debuted in 2018, highlighted five fans whose lives have been forever altered by the galaxy far, far away. The Star Wars Show turns 100! Star Wars toys and collectibles in 2018 brought some truly fine additions to our shelves and toy chests. 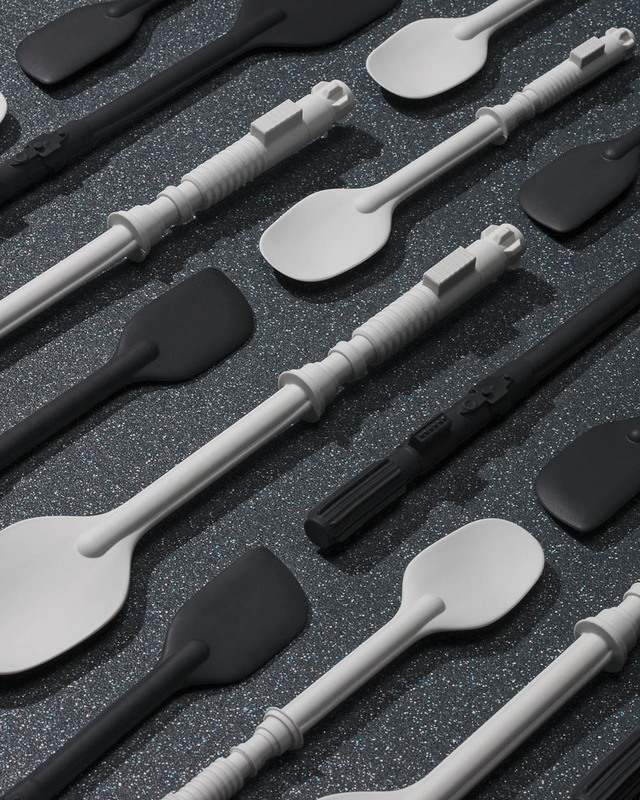 The debut of a new cinematic Star Wars film brought myriad options for the smuggler in all of us. Hasbro released a Han Solo card game that might look familiar to fans of Solo: A Star Wars Story, where the goal is to get as close to zero as possible. When you consider that there is a possibility of winning (or losing, watch what that scoundrel has up his sleeve!) 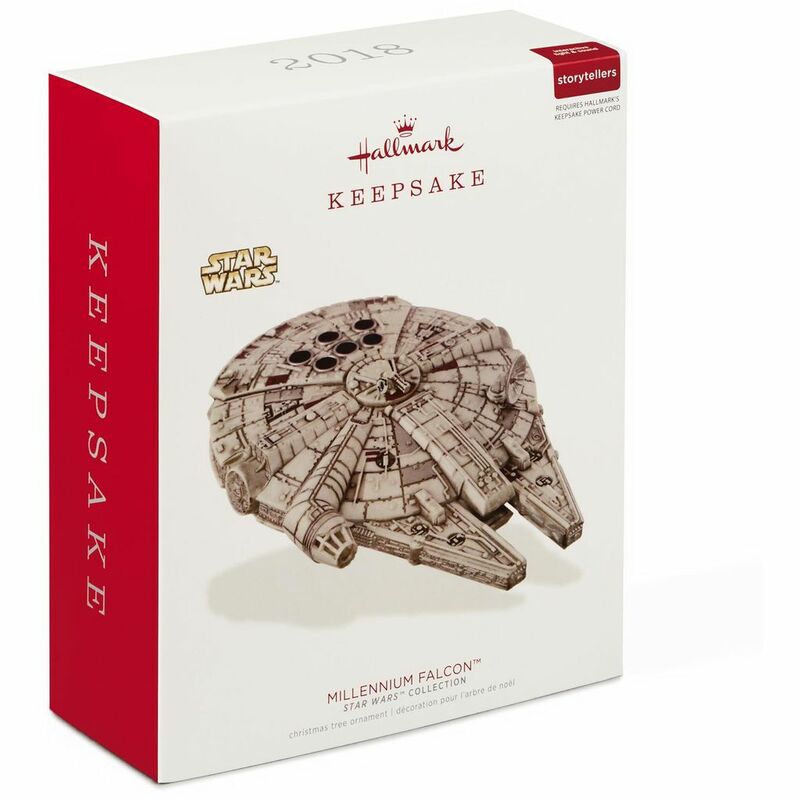 the ultimate prize, the Millennium Falcon, it is well worth the gamble. 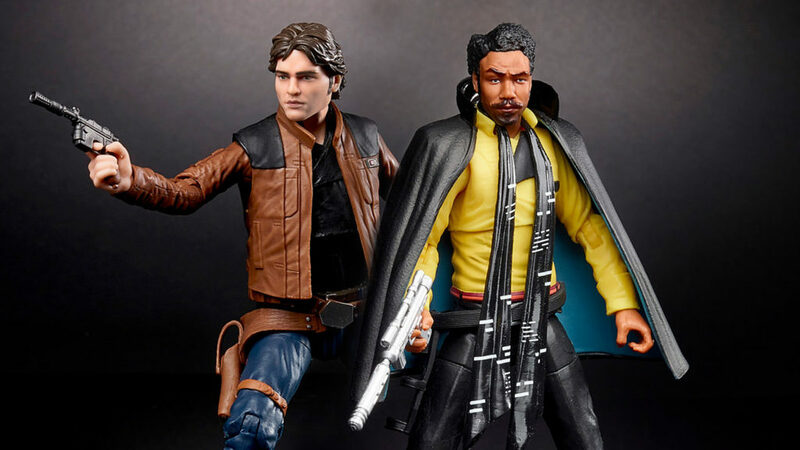 Hasbro also released new figures in the 6-inch Black Series — made even more stunning thanks to new Photo Real painting technology — including Solo versions of the titular character, as well as Lando Calrissian, Range Troopers, and Q’ira. 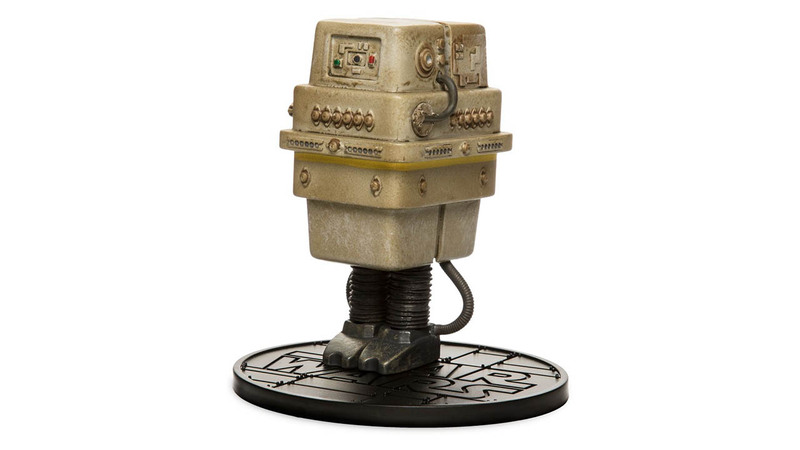 And, for the 3 ¾-inch line, the popular comics character Doctor Aphra (one of the only characters to face Darth Vader and live to tell the tale) made her debut at San Diego Comic-Con, and later, as part of the late Fall release in the Vintage Collection line. 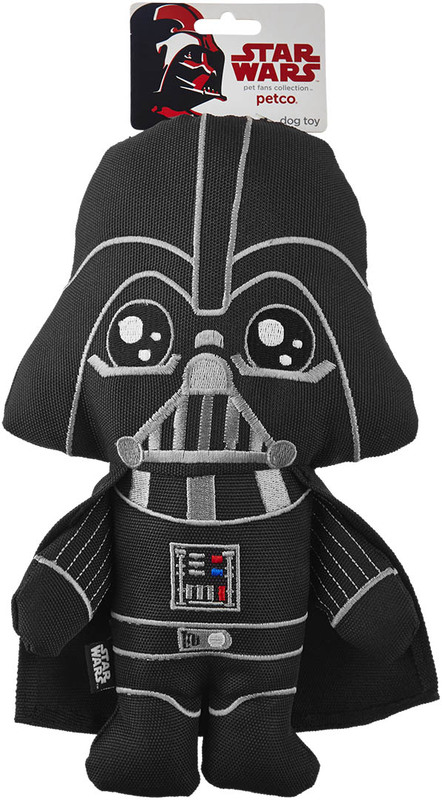 And a new Star Wars Galaxy of Adventures line is introducing classic characters to a new generation. 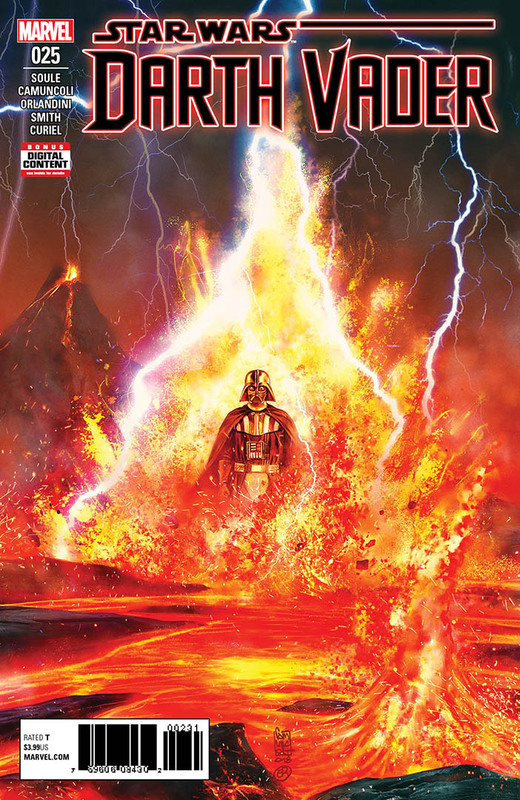 It’s been a busy year in the Star Wars comics world. 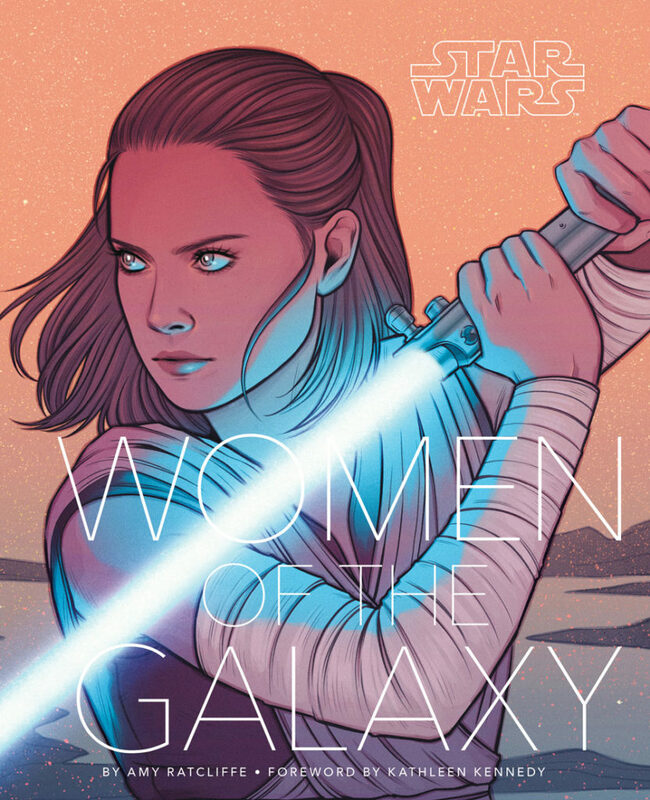 Poe Dameron published its final issues, and excellent adaptations arrived with Marvel’s takes on The Last Jedi and Thrawn, and the first few issues of Solo: A Star Wars Story. 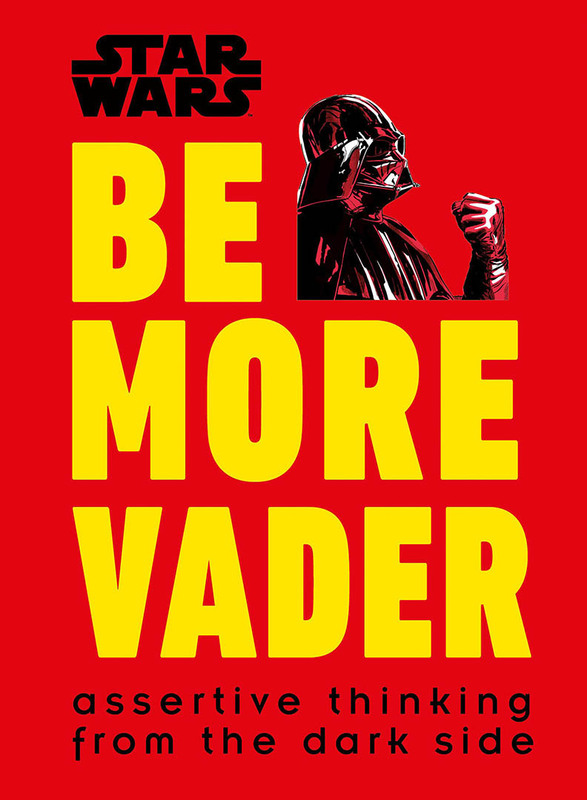 The main Star Wars title and Darth Vader embarked on an ambitious and different sort of crossover with each series telling a connected and complementary story about rebellion on Mon Cala, but set decades apart. Meanwhile, Lando and L3 ended up helping with a revolution in Lando: Double or Nothing…for the right price, of course. 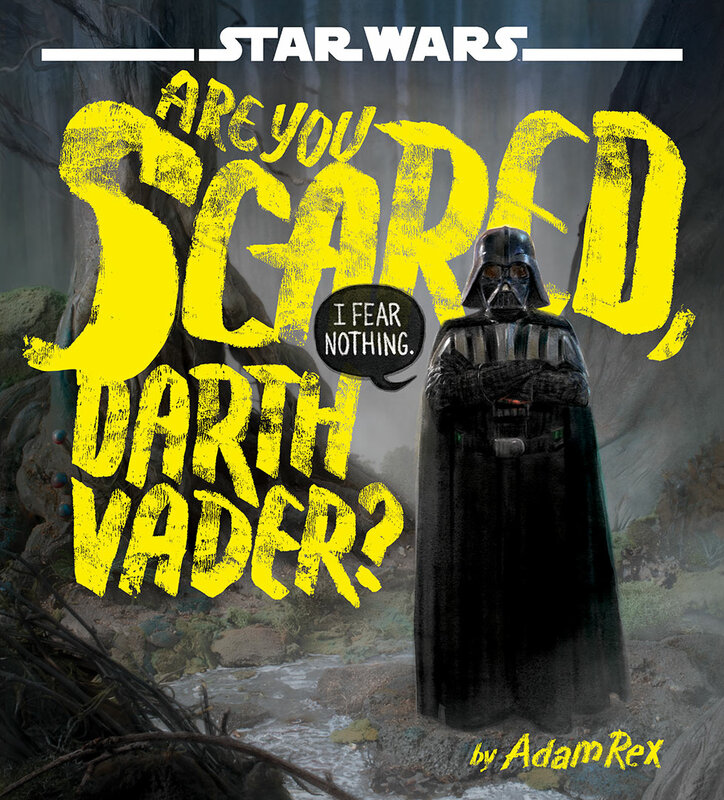 On the all-ages side of the comics Force, IDW Publishing expanded its Star Wars offerings this year, as Star Wars Adventures took a detour to Vader’s Castle and even published comics to accompany the Forces of Destiny shorts. The galaxy’s shadiest archaeologist kept finding herself in a deeper and deeper mess, as Si Spurrier took over as the sole writer of Doctor Aphra. Each arc this year, from “Remastered” to “The Catastrophe Con” to the recently begun “Worst Among Equals” has forced our intrepid doctor to face an uncomfortable truth about herself and the sort of person she really is. While the series never loses its sense of humor as Aphra bumps into one disaster after another, it doesn’t shy away from the harder questions. The book has been a fascinating exploration of morality and where the line between good guy and bad guy truly lies. This will forever be known as the year Star Wars fans were finally able to step into a galaxy far, far away. 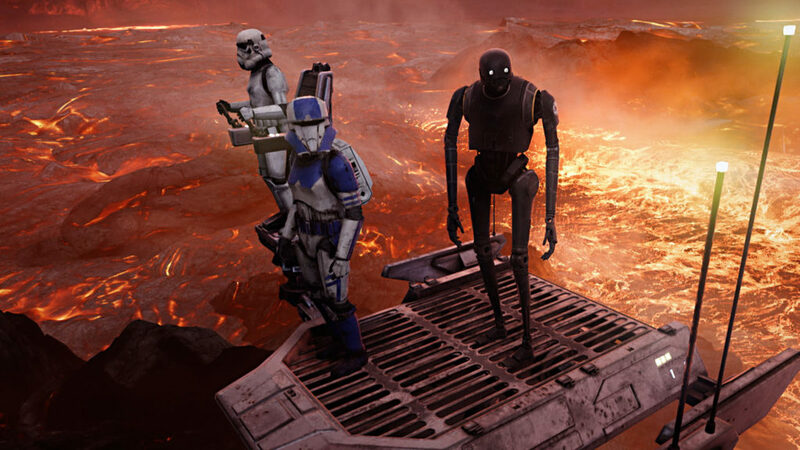 Thanks to the incredible work of ILMxLAB, we spent 2018 journeying to Mustafar alongside our friends and family members in the immersive Star Wars: Secrets of the Empire. Nothing brings you closer together than going on undercover as a stormtrooper on a mission for the Rebel Alliance. There was a time, before streaming services and on-demand videos, when the notion of a live-action Star Wars television series was just excited conversation in a school lunchroom, on a college campus coffee shop, or on online fan message boards. 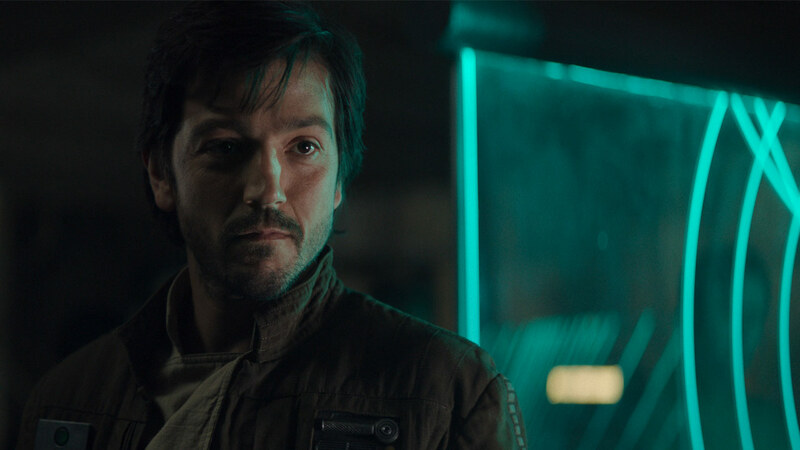 Such fan dreaming was given new life in 2018 with Lucasfilm’s announcement of not one but two upcoming live-action series on Disney+: The Mandalorianand an as-yet untitled show featuring Rogue One: A Star Wars Story co-protagonist Cassian Andor. 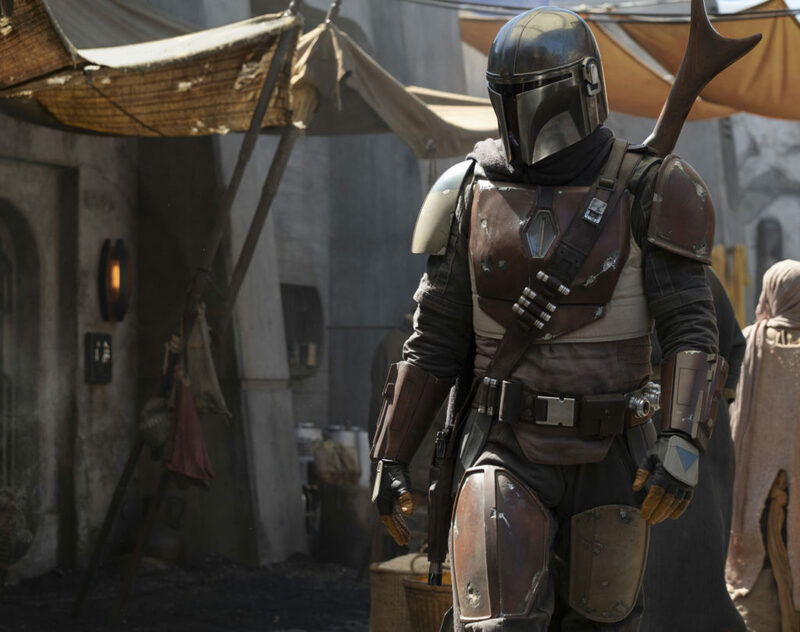 Shepherded by Executive Producer Jon Favreau, The Mandalorian, coming in 2019, is a show focused on “a lone gunfighter in the outer reaches of the galaxy far from the authority of the New Republic.” The few images released show the lived-in aesthetic that’s been a Star Wars hallmark since A New Hope. Star Wars fans new and old are giddy with anticipation. What circumstances forge someone into the person they’ll become? That’s what Solo: A Star Wars Story, which opened on May 10, explores; it’s not about blowing up Death Stars or the fate of the galaxy. It’s a personal story — albeit, one involving a train heist and a giant space monster — that shows us how experiences, heartbreaks, and victories can shape a person. In this case, we see Han Solo learn lessons that would harden his exterior, but we also witness that even in his youth, his giant heart trumped all his selfish impulses. It’s a story that makes Han Solo — along with other heroes we’ve known for years — a stronger character, and it’s still a rollicking action-adventure. (No surprise then, that it was written by The Empire Strikes Back, Return of the Jedi, and The Force Awakens screenwriter Lawrence Kasdan and his son Jonathan, and directed by Ron Howard.) And I love it. In fact, I love Solo for many reasons. It takes Star Wars back to its grimy Western roots, with gunslingers and cantinas and shady types that we may or may not be able to trust. It’s a creature feature through and through, with great oddities like the giant worm-like Lady Proxima and two-headed card-playing aliens. Alden Ehrenreich captures Han’s cockiness, bravado, and vulnerability, while at the same time, adding an air of innocence to the character that we’ve never seen before. 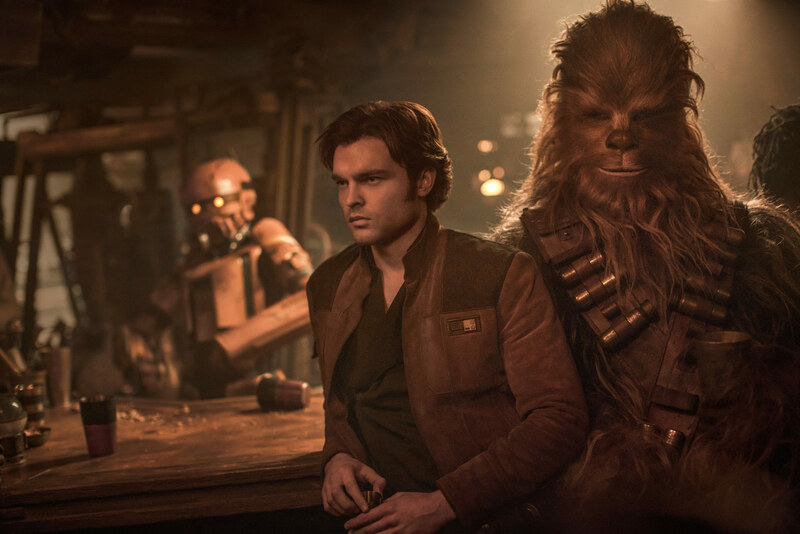 His chemistry with Joonas Suotamo’s Chewbacca is excellent; from their first meeting in a mud-pit — a knock-down drag-out fight that quickly becomes a getaway scheme, which is so Han and Chewie — to the I-can’t-believe-it look Han gives his furry friend as they sit in the Falcon cockpit together for the first time, they’re a joy to watch. Donald Glover’s Lando Calrissian is smooth and charming and funny, but he stumbles — much like Han, he’s almost impersonating the type of person he wants to be, and he takes some lumps along the way to getting there. Emilia Clarke’s Qi’ra is wondrously complex; she’s someone who chooses a questionable path and has regrets, but we sympathize with her and root for her. Without spoiling the film, everyone makes choices during the climax that speak volumes about where they’ve been and where they’re going; we understand them completely, good and bad, and that’s why this movie resonates. Solo is tragic and hopeful at the same time, a reflection of what goes into a life, making for a beautiful tale. 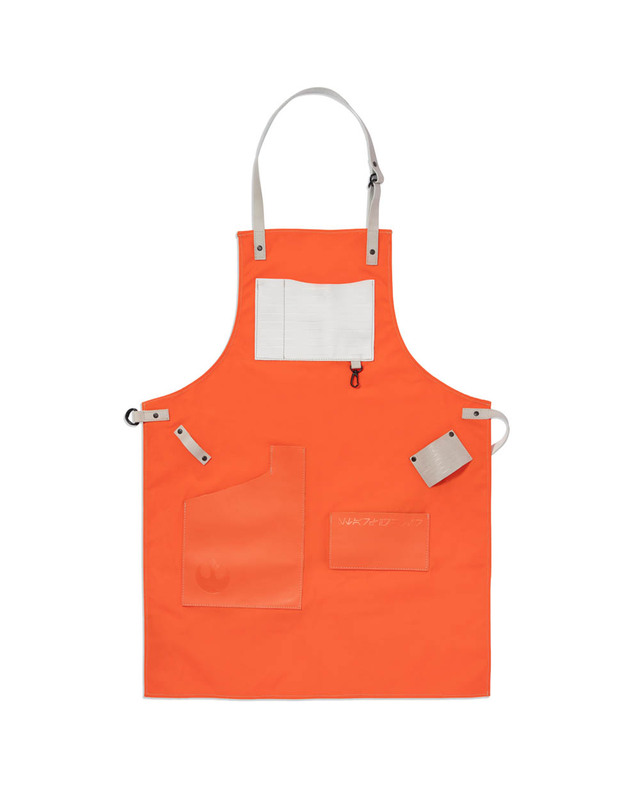 Plot a course through the maelstrom of holiday shopping with a navigational chart to rival L3-37. 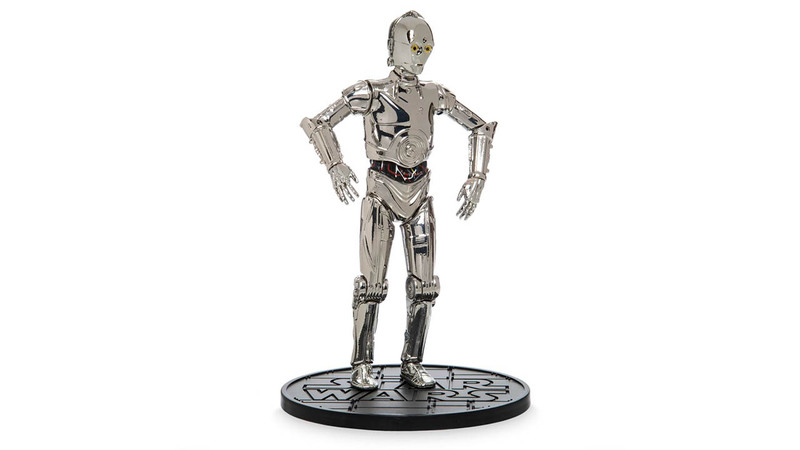 It’s time to pick out gifts for the Star Wars fans you know and love, and StarWars.com has mapped out some of the best deals and sure-to-be beloved items for every member of the family. 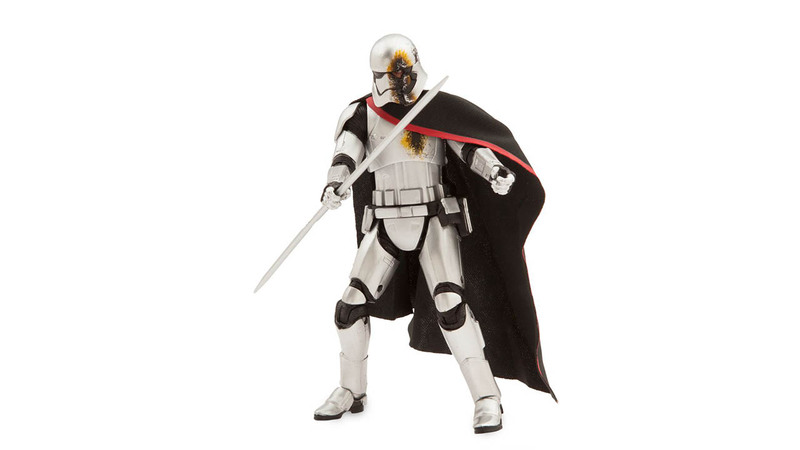 Find several exclusive figures at shopDisney this season, including a bad-guy batch from from Hasbro’s Star Wars: The Black Series, including Captain Phasma, battle-scarred but not ready to surrender, and everyone’s favorite bounty hunter, Zuckuss. 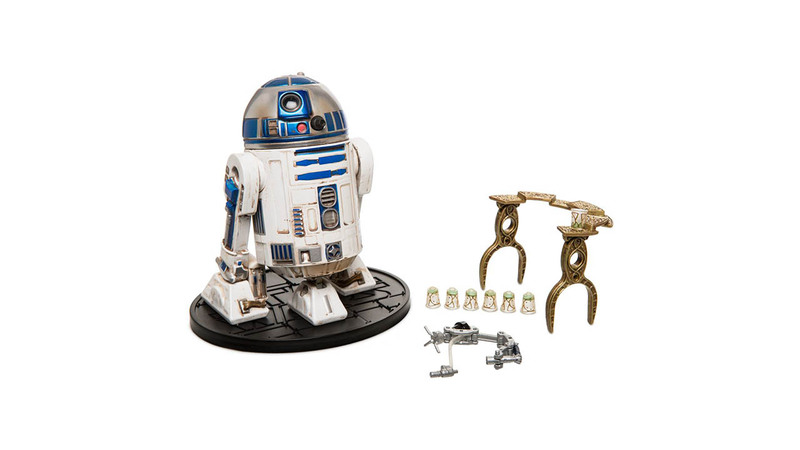 Plus a GNK “Gonk” droid, R2-D2 complete with serving tray, TC-14, and R5-D4 join the die cast Star Wars Elite Series. 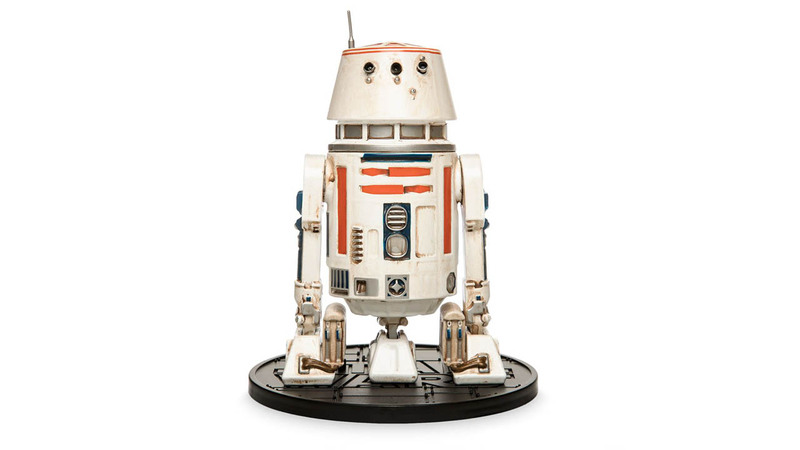 But be careful — this particular R5 unit has been known to have a bad motivator. 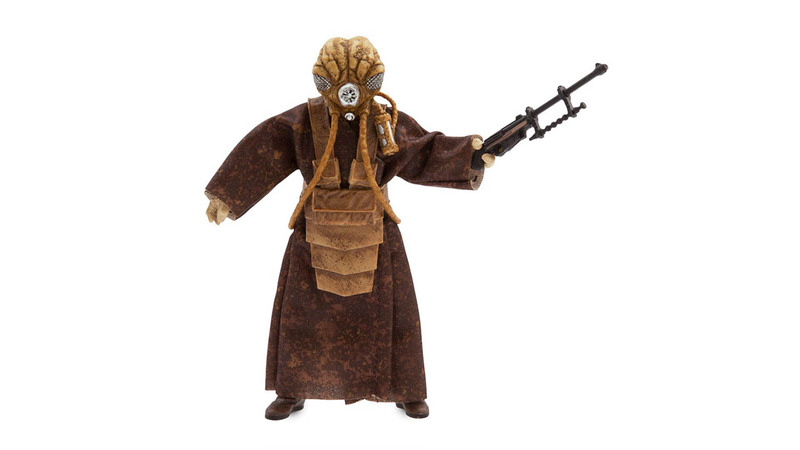 For fans who speak a little Wookiee, a walking carpet with personality. 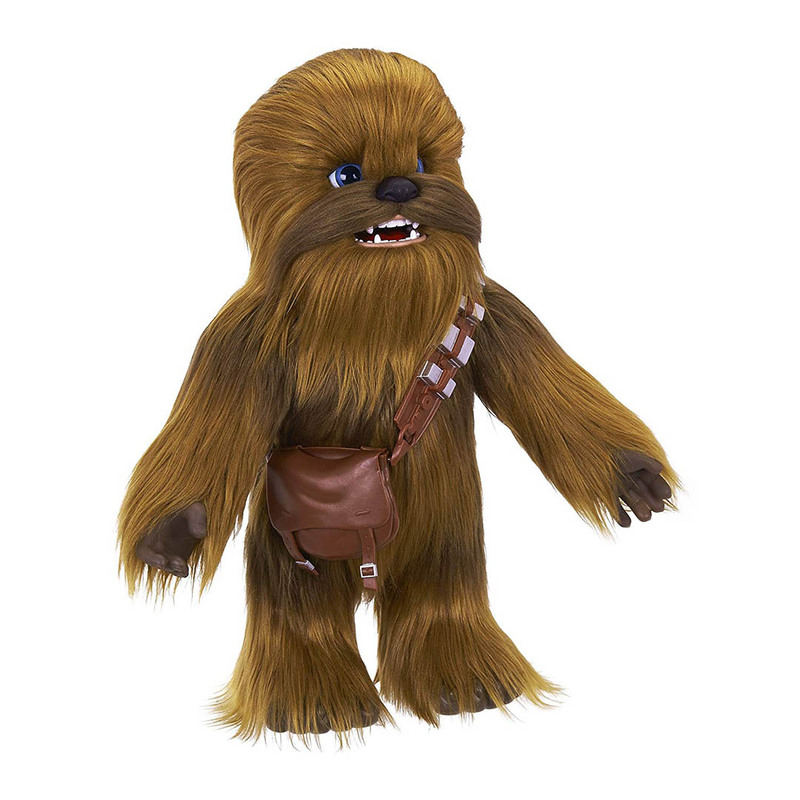 The interactive Chewie plush features over 100 sound-and-motion combinations, including laughing, roaring, and even snoring, responds in the Wookiee language of Shyriiwook, and reacts whenever he’s in motion. No matter what size palace or battle station you’re decorating, there’s a piece of art or a comfortable throne for you courtesy of Regal Robot. 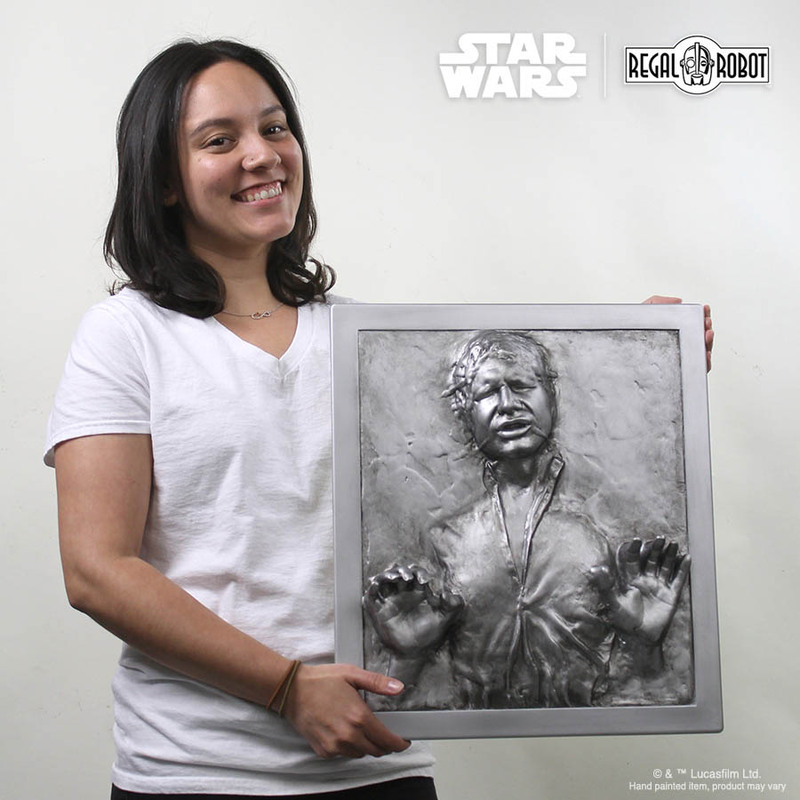 You’ll like Captain Solo where he is, encased in carbonite. 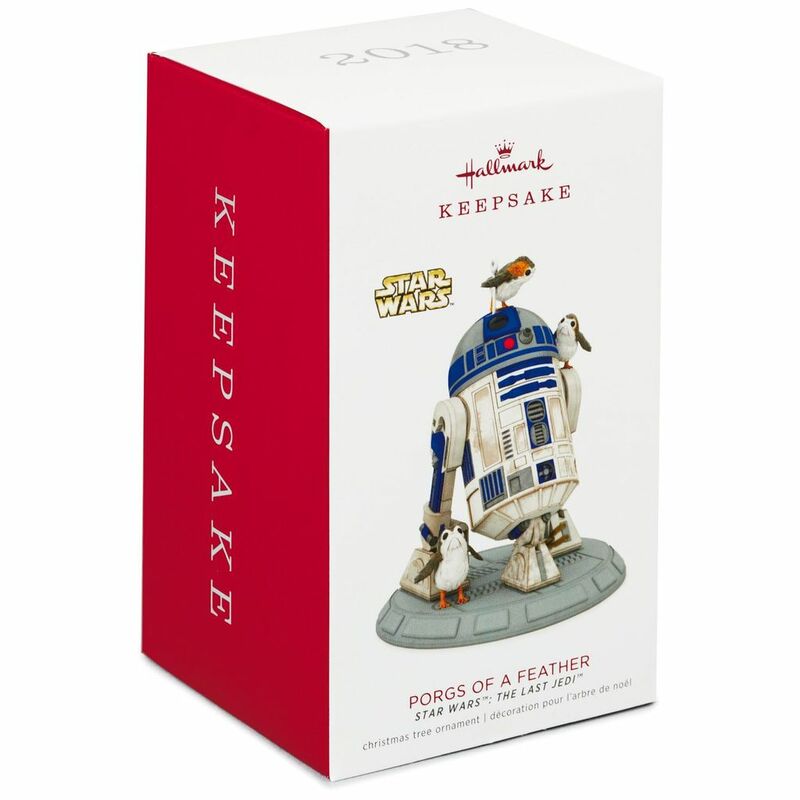 Admire him, and the rest of your collection, from the comfort of an armchair fit for an Emperor with unlimited power. 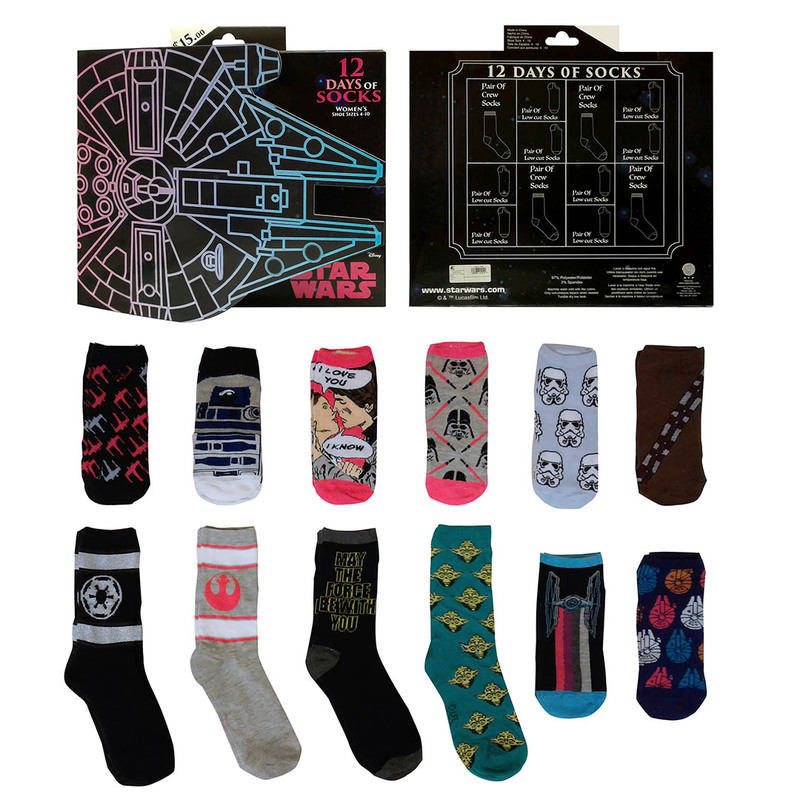 For the fan who appreciates a practical gift with a little panache, an advent calendar for him or for her that reveals a fresh pair of socks each day. 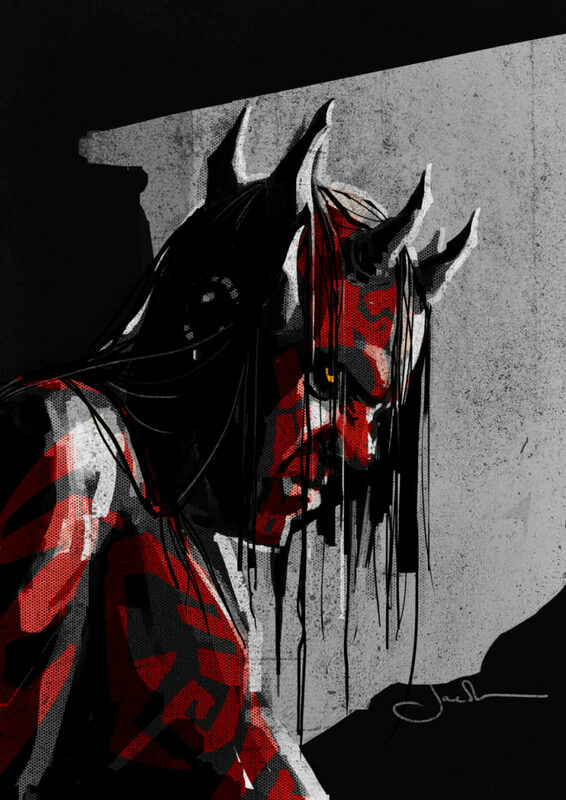 Darkness rises with a trilogy of Dark Ink prints called “Perspectives,” paying respect to some of the Star Wars saga’s greatest dark-side warriors: Darth Maul, Darth Vader, and Kylo Ren. 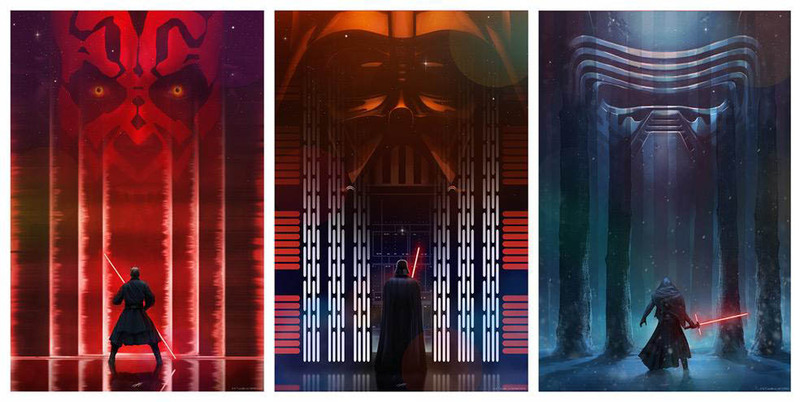 Other pieces in the line celebrate the serial-style movie posters of the past, and the picturesque views of Cloud City and the Forest Moon of Endor. 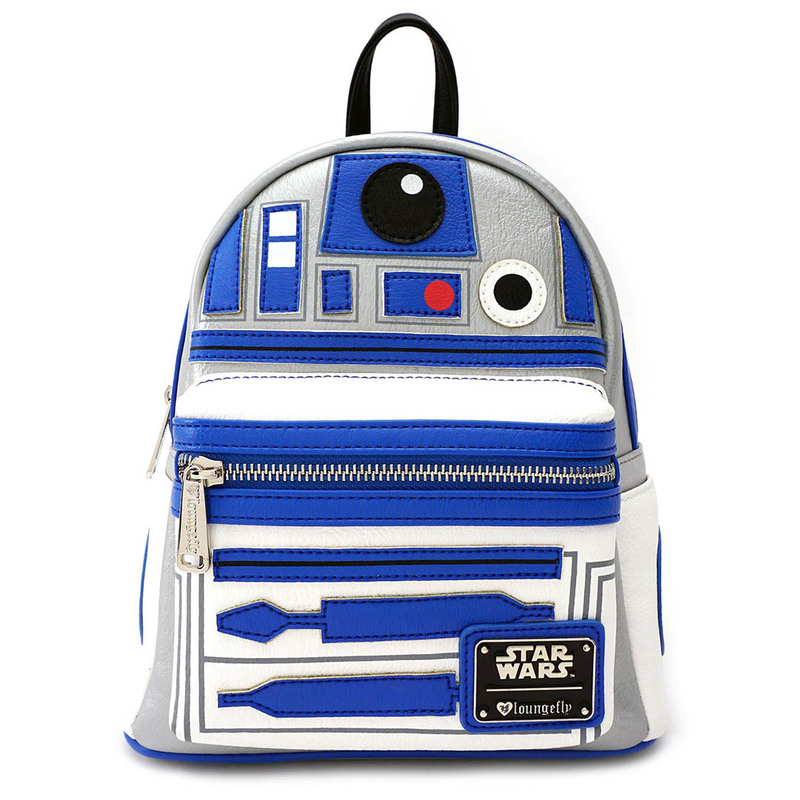 In the image of galactic hero and lovable astromech R2-D2, a faux leather backpack that is sized to fit Death Star plans and other necessities. For the ultimate fan on your list, a ticket to Star Wars Celebration to revel in the excitement of the saga from a galaxy far, far away with days of major announcements, immersive exhibits, exclusive merchandise, celebrity guests, informative panels, autograph sessions, fan-inspired activities, costumes and other surprises. 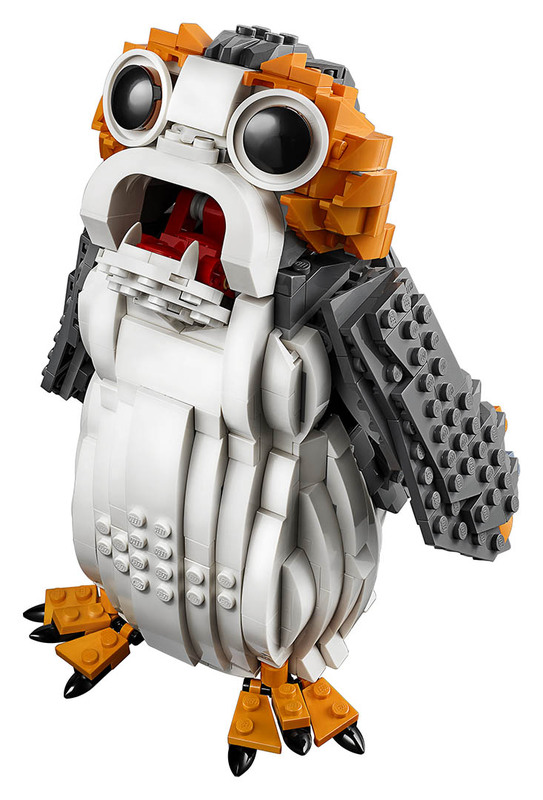 If you can’t get to Ahch-To, you can build your own LEGO porg or take flight in a miniature version of Luke Skywalker’s X-wing, brick by brick. 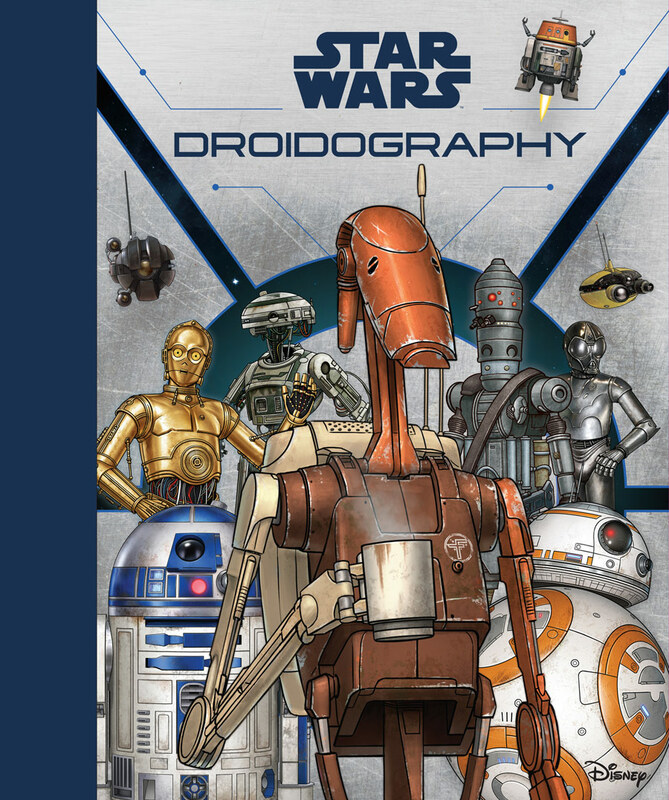 From an in-universe compendium about the galaxy’s finest droids, Droidography, to a celebration of Women of the Galaxy, and everything in between, including self-help guides to being more mindful like a Jedi Master or as powerful as a Sith Lord, and an all-new definitive exploration of the original trilogy, there’s a Star Wars book for everyone on your list. 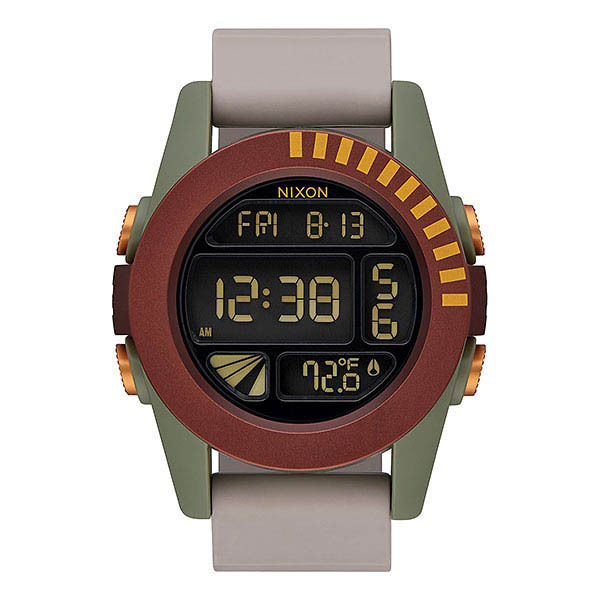 A new watch inspired by one of the galaxy’s most fearsome bounty hunters? As you wish. 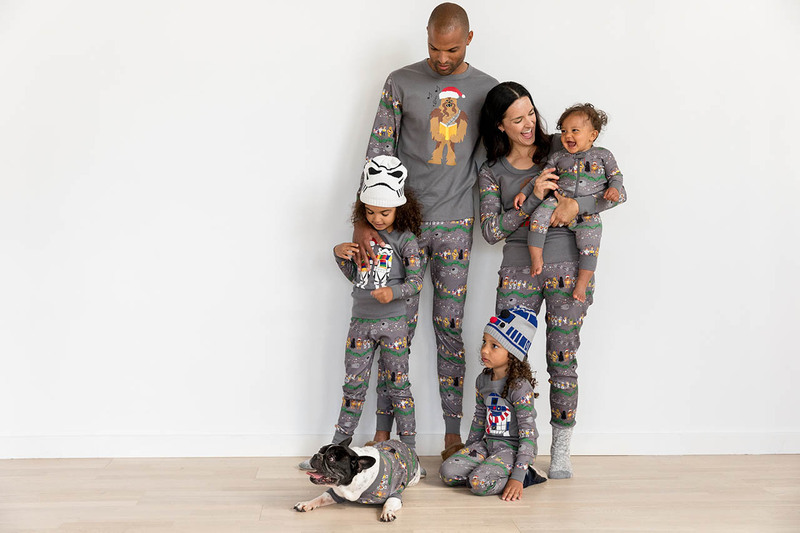 A caroling Wookiee and R2-D2 snuggled up in a scarf make for a festive set of sleepwear for the whole family (including pets!). Speaking of your favorite furry family members, don’t forget to treat the family pets to new toys, treat jars, and more. 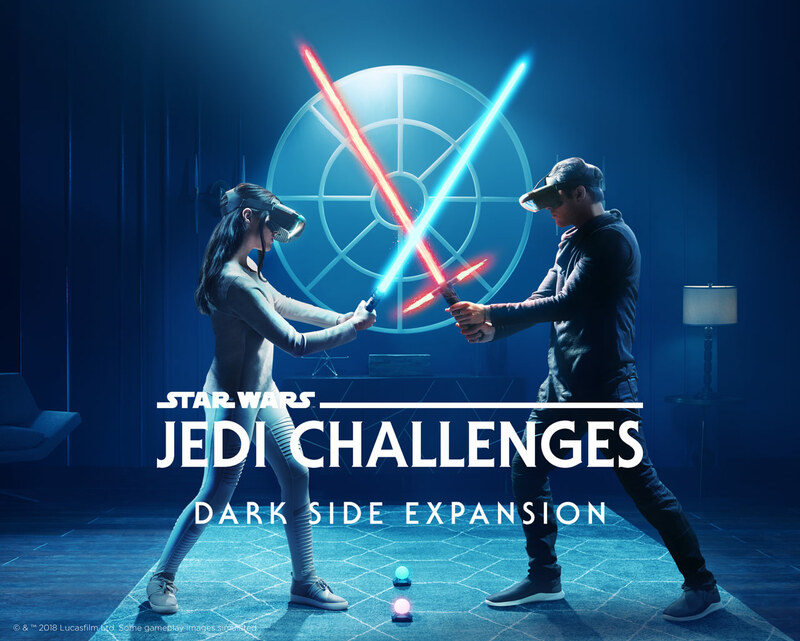 It’s fun to be the bad guy in the new immersive dark side expansion of the interactive Star Wars: Jedi Challenges augmented-reality experience. 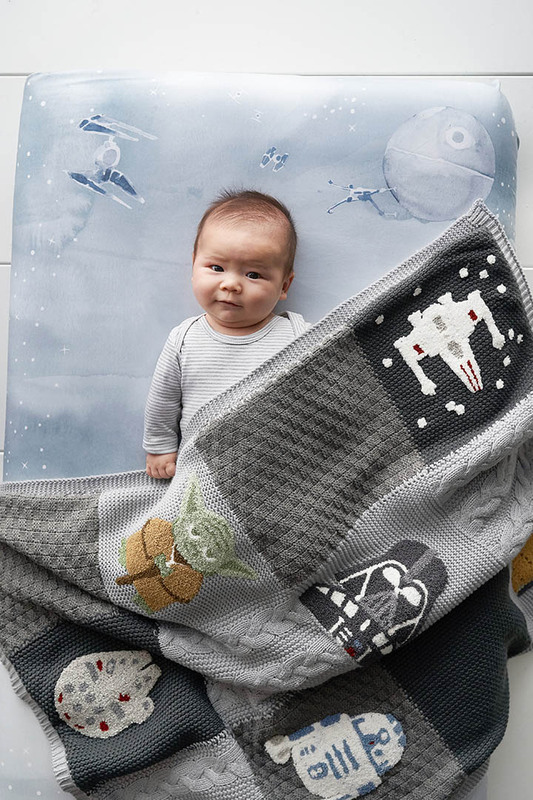 A new nursery collection means baby’s first Christmas can end swaddled in a new blanket inspired by the quest to defend hope in the galaxy. 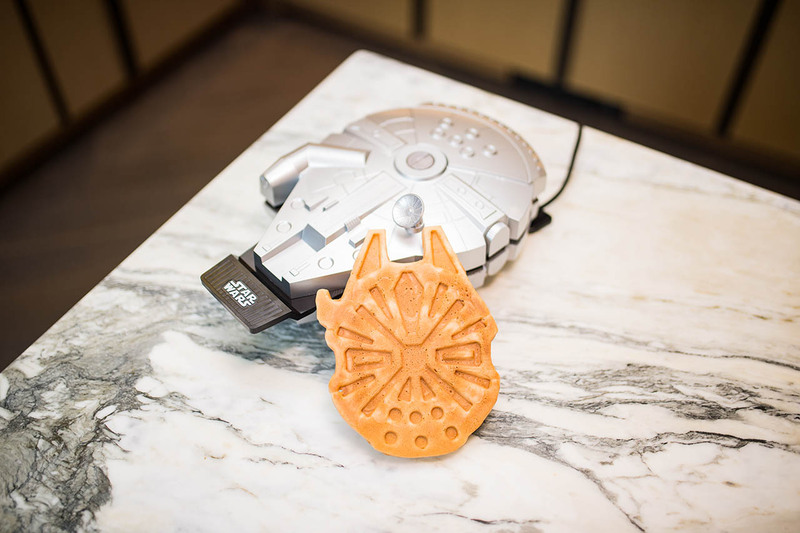 It’s the breakfast that made the Kessel Run — a Millennium Falcon Waffle Maker! 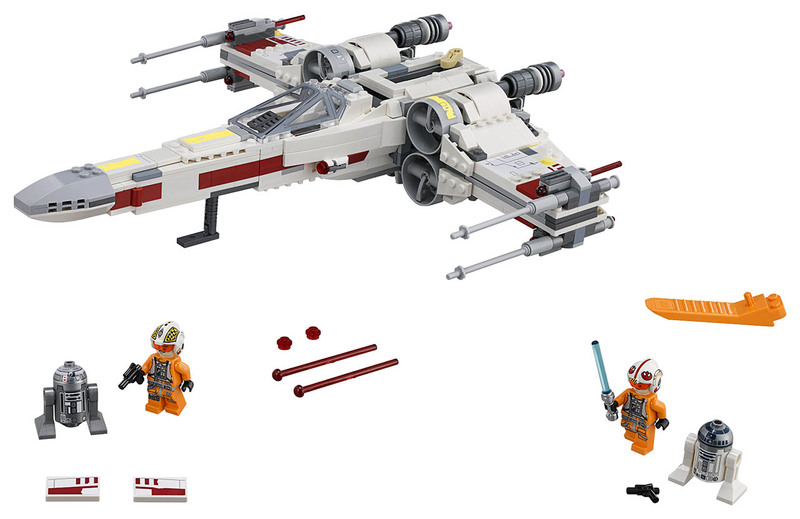 And it can be yours without having to play Lando in a game (or two) of Sabacc. 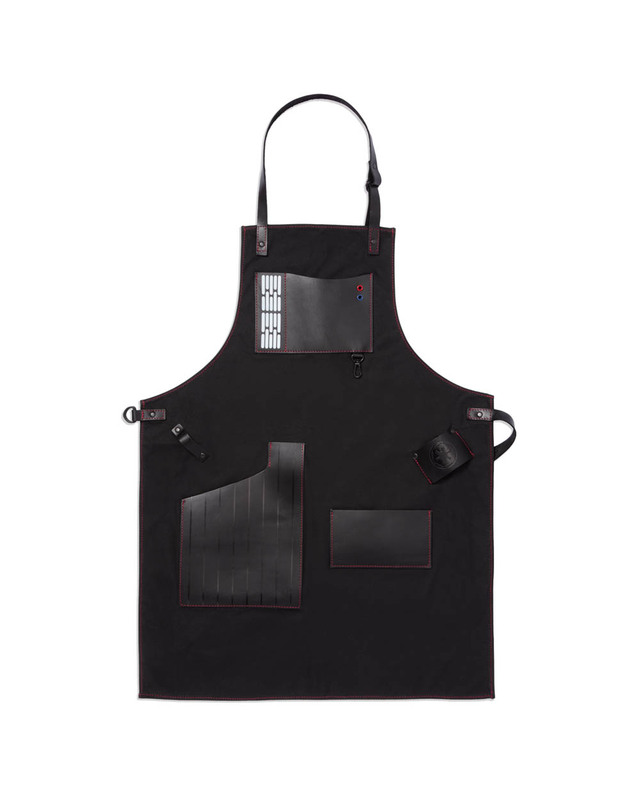 Settle the debate over who’s cooking with a galactic duel while donning an apron in a rebel pilot design or one made to look like the infamous armor of Darth Vader, plus a set of lightsaber-handled spatulas. Oh dear! 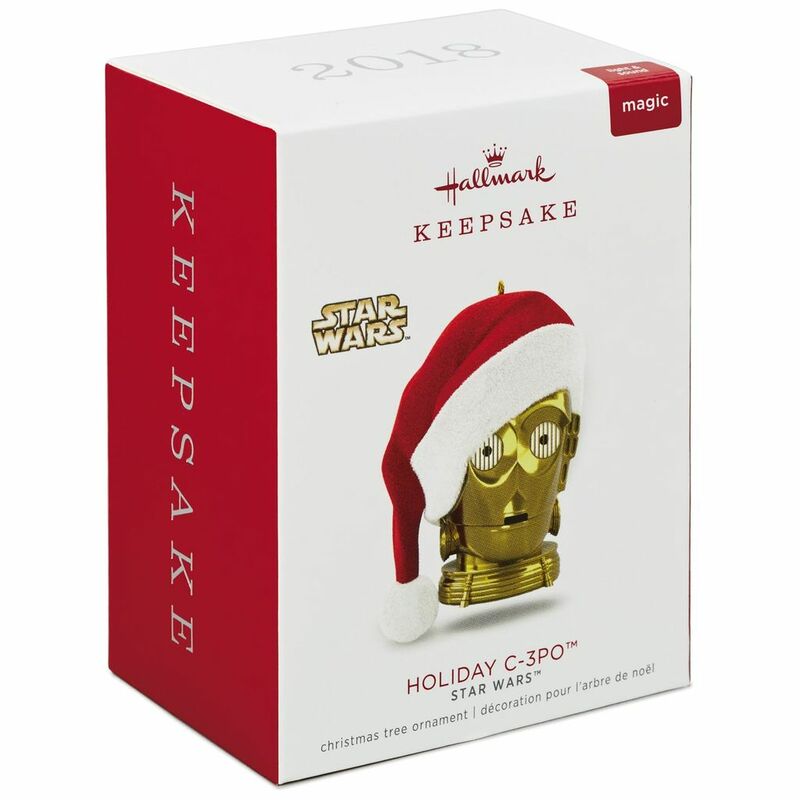 C-3PO donning a Santa hat, R2-D2 surrounded by inquisitive porgs, and Han Solo’s specially modified Millennium Falcon join the keepsake ornament line this year. 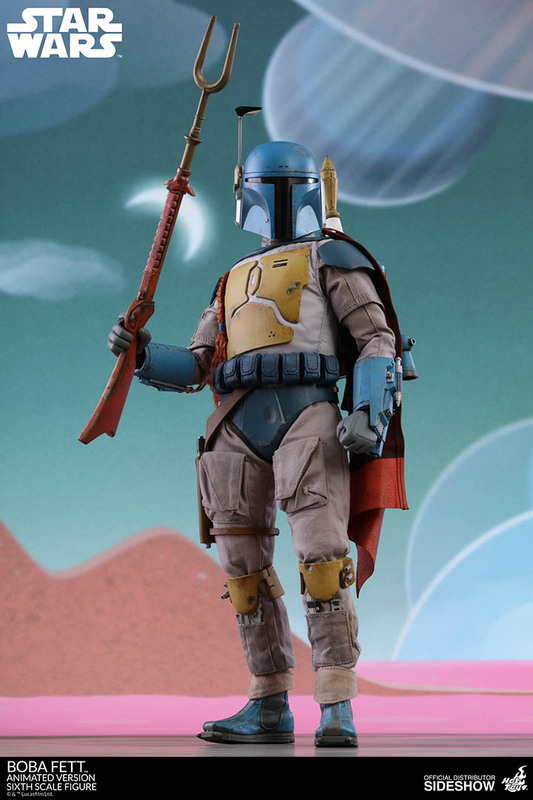 Celebrate the Star Wars Holiday Special with a Boba Fett sixth-scale figure in the image of the brightly-painted animated bounty hunter who first debuted on the 1978 television film. The imposing figure, equipped with blue and yellow colored Mandalorian armor and a twin-pronged electropole, joins the Hot Toys line of exquisitely detailed figures. 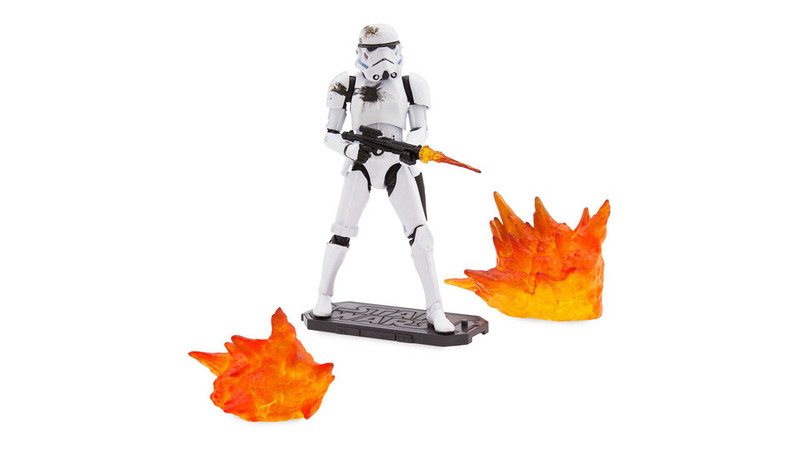 Check out even more Star Wars gift ideas at Shop Star Wars.